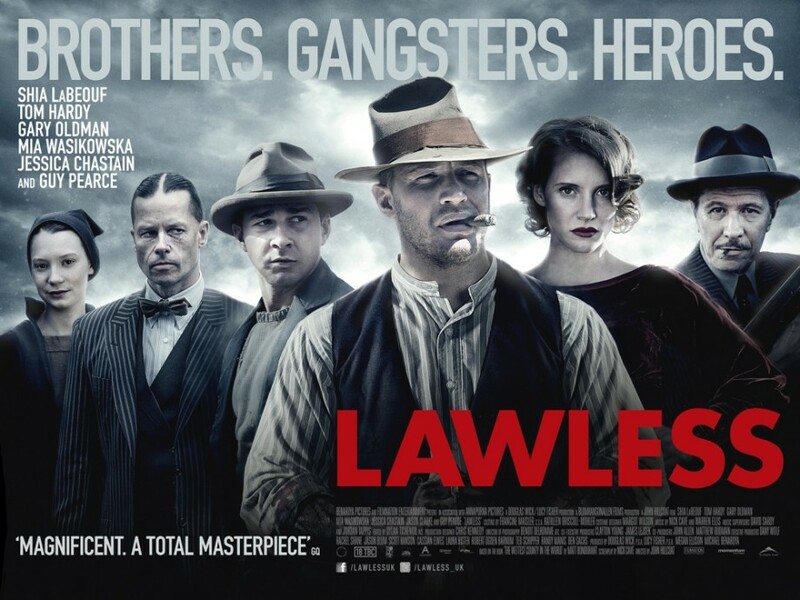 Mia Wasikowska | The Reviewers Unite! Well at least SOMEONE decided to release a horror movie in October! Seriously, why don’t we get horror movies during Spooky Month anymore? Is it too obvious or something? Well NOTHING’S too obvious for good old Guillermo Del Toro who’s bringing us a good old late Victorian era Haunted House feature that might as well come straight from Hammer Studios! Can his Spook House thriller bring some life back to the genre which has been surviving off of found footage scraps for years now, or is he going to indulge way too much in what he loves to see to the point that he ends up only appealing to a niche audience with his big budget feature? Let’s find out!! The movie is about Edith Cushing (Mia Wasikowska), an aspiring writer of ghost stories who’s having trouble getting her magnum opus published. Despite being the daughter of a rather wealthy contractor in New York city with plenty of connections, no one seems interested in selling a ghost story written by a female and would rather have her write some tween love story. I guess ghosts are next on the list for Twilight-ification (if they haven’t been already) but Edith is not willing to compromise on her vision, especially because it comes from a very personal place. Edith’s mother died when she was fairly young and a couple of days later she was visited by her ghosts. Now it doesn’t seem like Edith has seen a ghost since then, but that night has stuck with her since then, especially considering that her Ghost Mom could see the future and warned her to be wary of CRIMSON PEAK!! 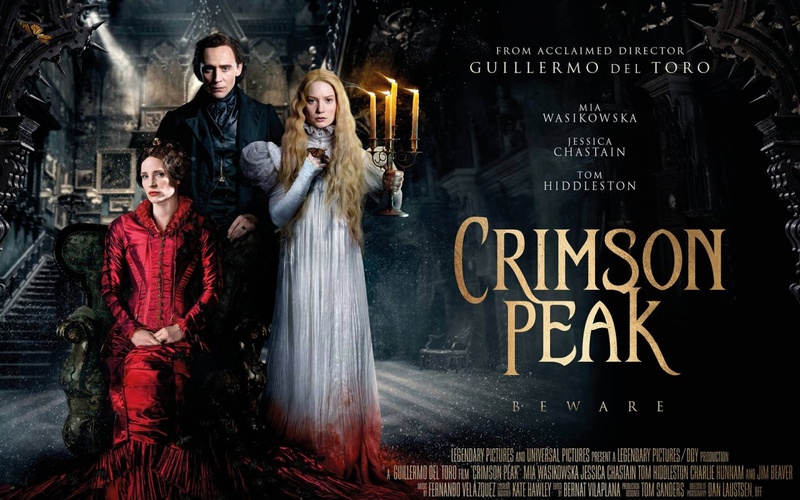 While struggling with this, her father is visited by a British Baronet named Thomas Sharpe (Tom Hiddleston) who’s trying to get her father to invest in his clay extraction machine while also getting moon eyes for the lovely Edith. He’s not alone on his journey however and has come to America with his sister Lucille (Jessica Chastain) but all she seems interested in is standing off to the side and giving off bad vibes. This doesn’t deter the budding romance between Edith and Thomas however and after some horrifying event befalls the young Edith, she leaves the United States and is whisked away by her knight in shining armor to be his bride. Once at the family home though, it’s clear that there’s MUCH more going on than Thomas led on during their courtship which I think was about a month. What secrets does the rickety manor have that Thomas and Lucille are trying to hide? Will Edith’s power to see ghosts come in handy or be a curse that slowly drives her mad? If we can’t have Silent Hills, is this at least a decent replacement!? This entry was posted in Cinema Dispatch and tagged Charlie Hunnam, Guillermo del Toro, Horror, Jessica Chastain, Jim Beaver, Mia Wasikowska, Movie Review, Tom Hiddleston on October 19, 2015 by Matt Vetrano.